In between homework and chores, Mommy and Luchi have been having tons of fun in the kitchen! Luchi had some homemade sweet potato mash and Mommy had a fruity salad and roasted chick peas for lunch! Girls gotta eat! This amazing new popcorn I found has been in a bowl by my computer screen for some of the morning as well! What an awesome snack! 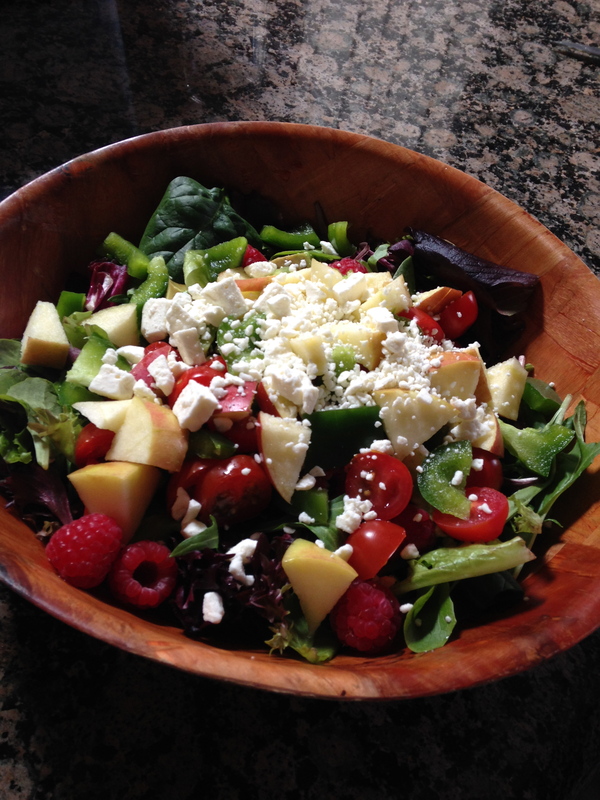 Eat whole foods and feel amazing! I just piled anything fresh I had into a bowl to create this masterpiece. 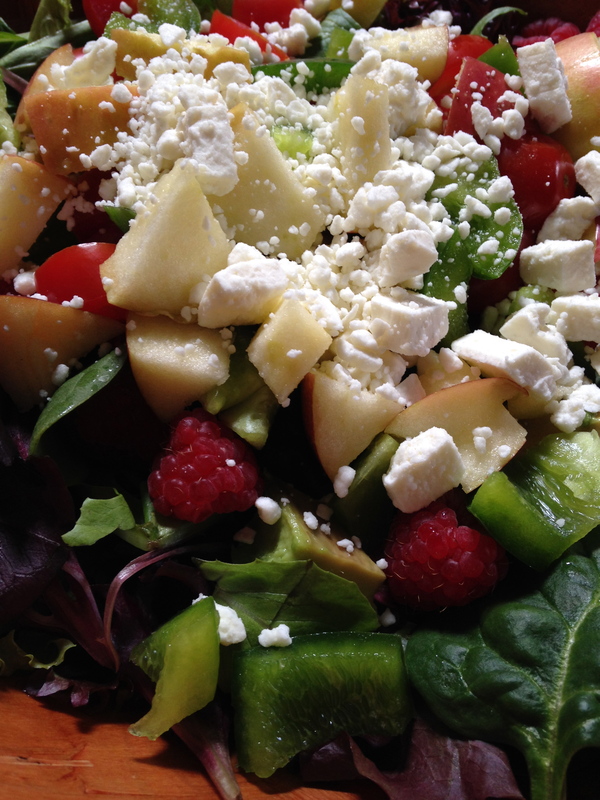 Apples, raspberries, tomatoes, avocado, peppers, feta, and spring mix topped with raspberry walnut dressing. 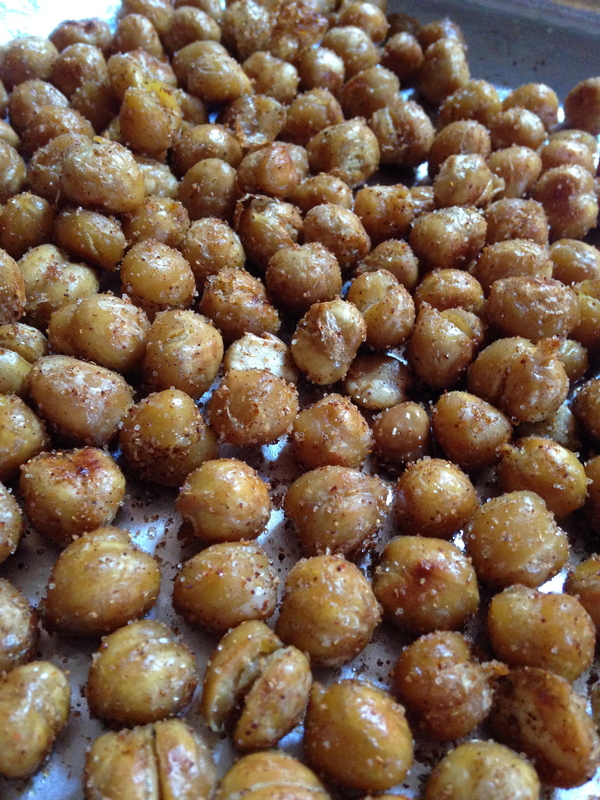 These are just organic garbanzo beans from a can, rinsed, dried, tossed in 1 tbsp of olive oil, baked for 25 mins at 400 degrees and then sprinkled with spices of your choice! (I used 1/2 tsp of each, salt, coriander, paprika, and garlic powder) They are crunchy and delicious! 4 points plus for 1/2 cup. Look at those little teeth!! I love this baby!! We are going to finish our Valentine’s this evening…stay tuned for that post!